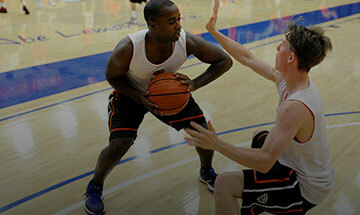 The best point guards are always holding something back. You should not play at your top speed. You always want to be able to kick it into high gear for just one or two dribbles. you want to have Rabbit Speed versus Cheetah Speed. Think about it this way, in a confined space a cheetah will just run around as fast as he can and if you are lucky, you may be able to time him and catch the cheetah. However, if you put the rabbit in the same confined space, he would be much harder to catch. Why? The rabbit will stay still and wait until you get close then dart off to the other corner. Then it will wait again and again and again, constantly changing his position and speed until you get bored or tired. The basketball court is a confined space. There are out of bounds lines. It doesn’t do you any good to play at cheetah speed or constantly as fast as you can play. You need to learn to play with starts, stops, bursts.